A stunning engraved flamenco wine glass/goblet. This beautiful cut crystal wine glass is 180mm tall and comes presented in a blue skillet box. It is extremely well made and great value for money. One of our most popular items! It makes a superb personalised gift and keepsake. 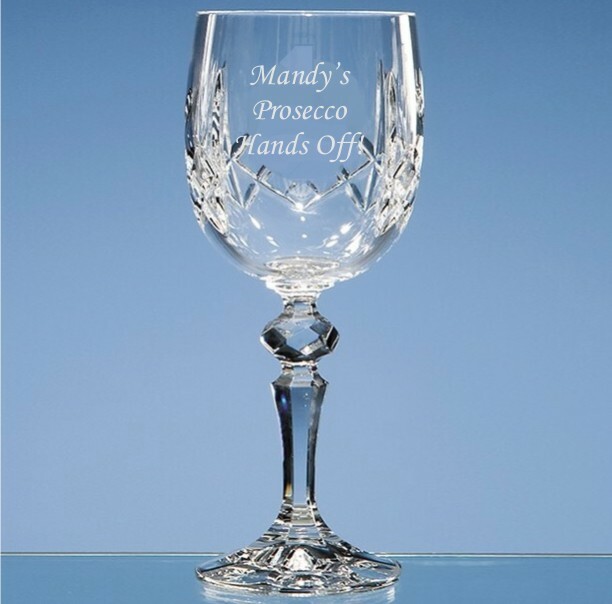 A great Mother of the Bride/Groom or Bridesmaid present that can be used over and over and a reminder of the special occasion.